Ziggy Stardust has died. 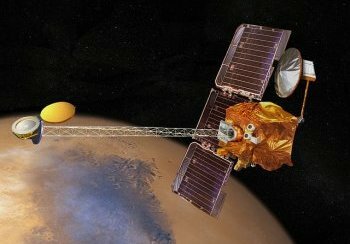 Reports came in overnight that the crew of the recent Ares Mars mission were forced to leave Stardust on the planet during an unprecedented sandstorm that left crew and equipment battered and bruised. In the melee, crew member Ziggy Stardust was regrettably struck by an untethered object and could not be retrieved in time for the departure of the craft, which otherwise would also have been destroyed in the storm. "We regret," said Major Tom, Ares Mission Commander, "that today we have lost one of the world's foremost ambassadors for everything that is inspiring and bright about humankind. Stardust was an example of not just who we are capable of being, but just how many different and wonderful kinds of human being we are capable of becoming. We will miss him enormously." Ziggy Stardust has a long history of re-invention and non-conformity. Though he died an astronaut, Stardust was previously a genius caretaker, an amnesiac spy and a lost soldier. In another life altogether, he was loved for his portrayal of a well endowed goblin king in the hit movie "The King's Speech". Fans of Stardust have been gathering online all day, musing about the effect the man had on so many lives throughout his varied career. Some, like this author, have been moved by the volume of genuine grief on display, with media outlets even eschewing the usual roll-out of semi celebrities who once met the deceased at a party and thought he was a really good bloke, but instead focusing interviews on those who actually knew him and supported him in his life. If you have a minute to spare today, we suggest you gather any recordings you can, and let the past show you just how good the future can be. I can't agree more with this. Absolutely spot on. This seems unlikely. But then I'm not a magic 8 ball. Good.